Course Website: Official Website - Visit Kinloch Golf Club's official website by clicking on the link provided. 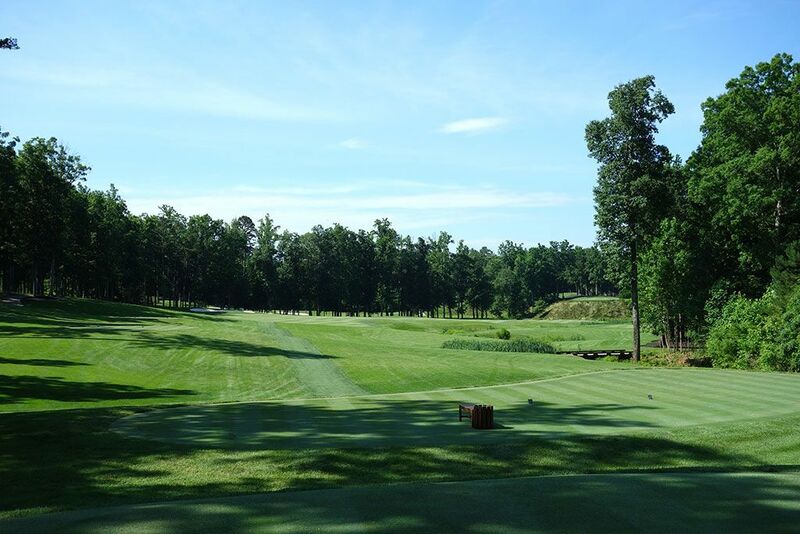 Accolades: Ranked 1st in Virginia on Golf Course Gurus' Best in State list. What to Expect: Kinloch is a one of the lesser known courses that has found its way onto various Top 100 lists. 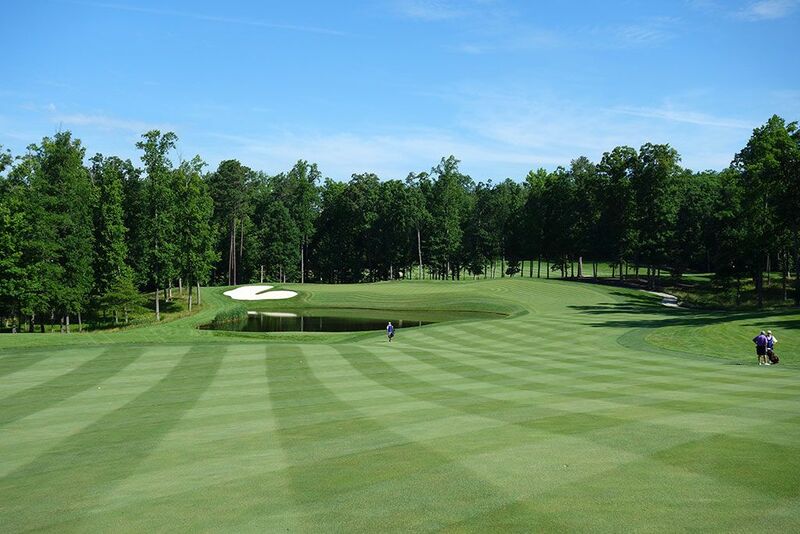 Located in Virginia northwest of Richmond, Kinloch has likely stayed under the radar due to not having a big name architect associated with it and because it is a relatively new golf course. The club enjoys a remote setting which seems to remove every care except for enjoying a round of golf. 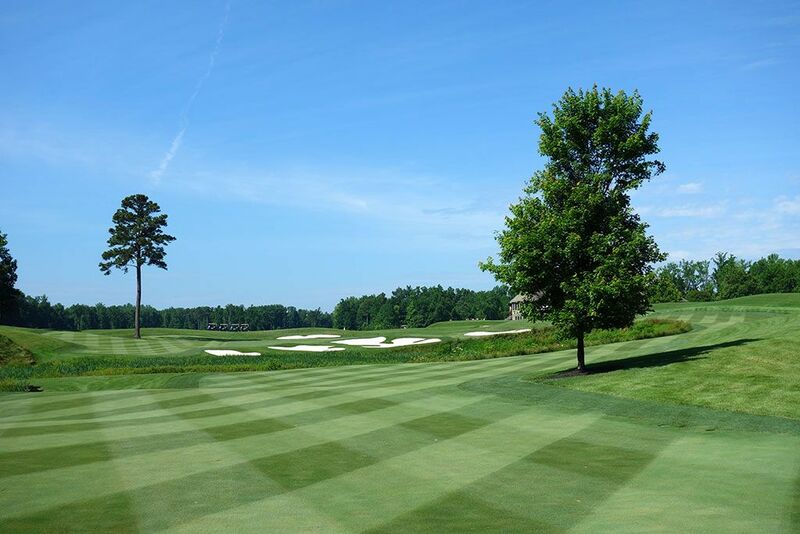 Impeccable conditioning, multiple tee shot options, and plenty of eye candy are found throughout the course in a fashion that few courses can match. Even the man-made features are infused into the property in a way that makes them feel like they belong. The front nine plays mostly through the trees while the back nine features some beautiful holes around the lake including a dramatic finishing hole with water down the whole left side. A quality walking caddie program and first class service from the staff are a staple at Kinloch as they focus on one thing; delivering the best golfing experience possible. Others may try to offer that, but Kinloch actually pulls it off. 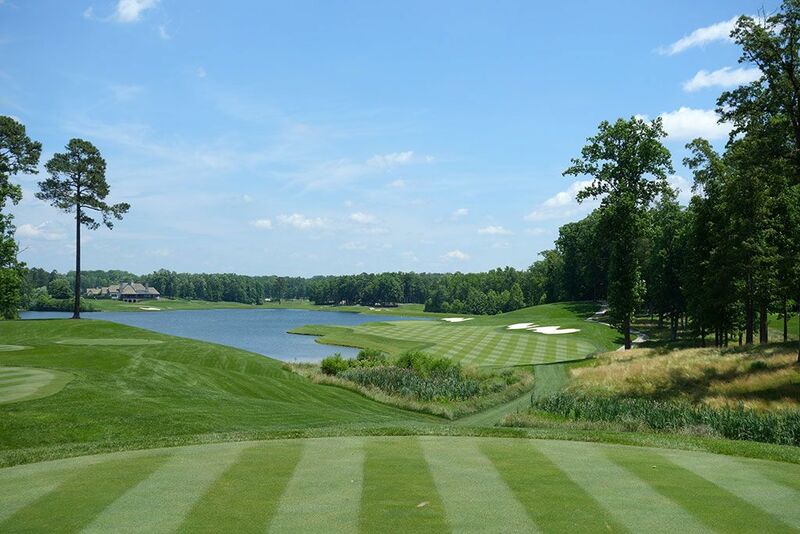 Signature Hole: 18th Hole – 422 Yard Par 4 – The lake is fully exposed on this impressive finishing hole that plays back towards the clubhouse with the water being featured up the left side. A pair of bunkers are on the right side of the fairway near the driving zone and another bunker protects the right side of the right-to-left sloping green. Beautiful views of Kinloch are featured from the green as players have an opportunity to reflect on the impressive golf holes and property found at the club. There are several exceptional holes found at Kinloch and this finisher is among them. Best Par 3: 14th Hole – 152 Yards – The lakes comes back into play at this Redan par three that is both picturesque and challenging. 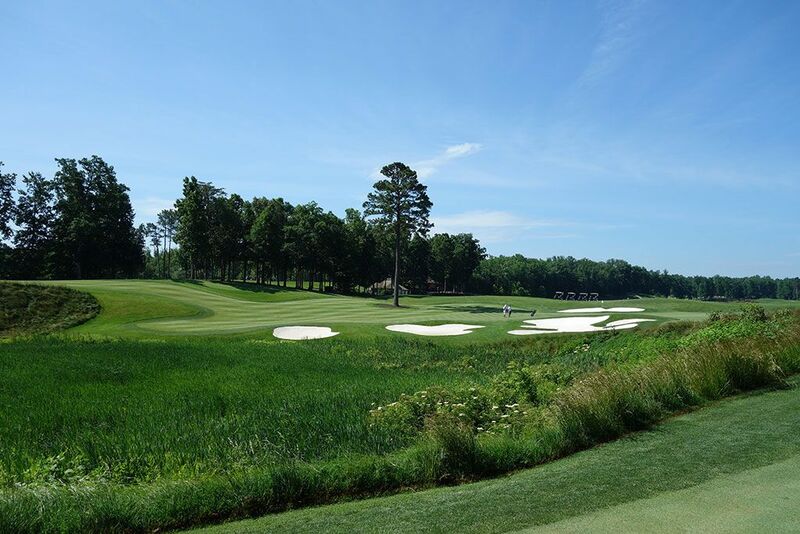 With the classic right to left slope found on Redan holes, players bailing out to the right will have an exceptionally difficult time getting up and down while players attacking the left side of the green may find their ball kicked to the lake. With the prevailing wind in your face, tee shots may land softer and roll less than at other Redan holes so taking aim closer to the pin position is generally a good idea. Best Par 4: 8th Hole – 457 Yards – Kinloch's finest two-shotter is also one of its most difficult. From the back tee players are afforded a view of a saddled fairway with a speed slot up the left side. 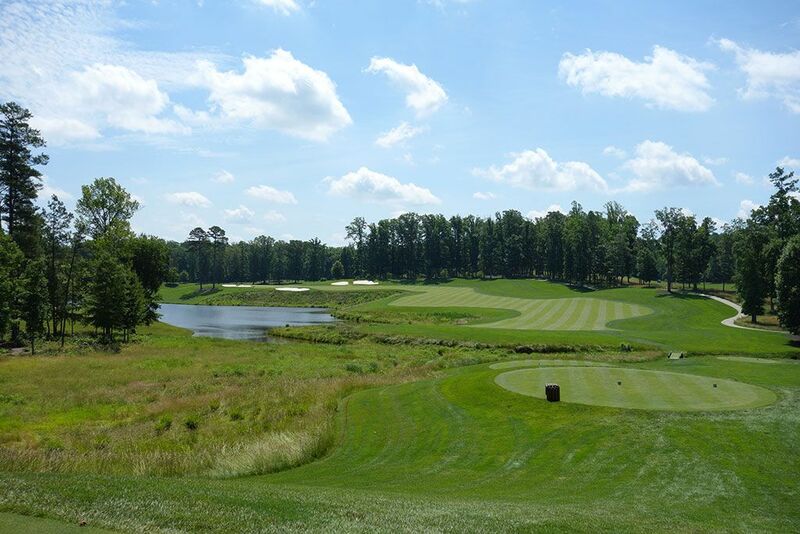 Upon cresting the top of the fairway, players are presented with an impressive view of a descending fairway that hooks around a pond before finishing at a green that features a steep slope in front and a bunker on the left. Players that are able to draw their ball off the tee will significantly reduce the length of the approach shot while golfers playing up the right side will be presented with a downhill shot with a bail out area on the right. The design of this hole sets itself up for players to enjoy time and time again due to the various lengths of approach shots afforded and dramatic green site. Best Par 5: 9th Hole – 586 Yards – This is the most controversial hole of the property for many members and patrons which is usually a good indication I'll like it, which I did here. Players are presented with an unusual split fairway option off the tee with the conventional play being up the left side while the right fairway will require a significant cut shot to find from the back tee. A creek splits the two fairways and meanders menacingly throughout the hole while a large hill looms at the end of the left side fairway. Players going up the right will cut four clubs off the distance into the green which will be enough for many players to reach the green in two while playing up the left side will turn the hole into a three-shotter. This hole will rarely be halved in a match due to it producing such a wide spread of potential scores and is one of the better risk/reward opportunities in the region. Birdie Time: 15th Hole – 328 Yard Par 4 – This short par four is a great birdie opportunity, particularly if you can hit a draw or just cut the corner a bit with a strong drive left of the lone large oak. Players who drive up near or on the green will find that the only obstacle in their way of carding a three is the most severely sloped putting surface on the golf course. 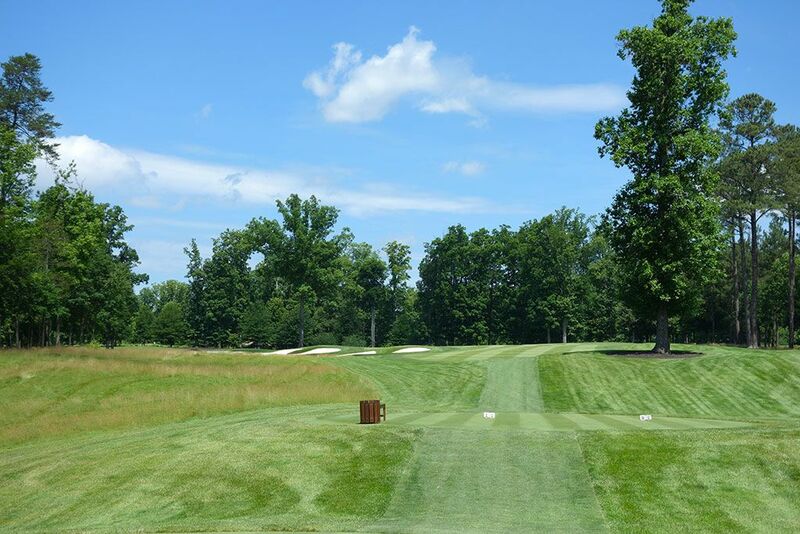 Players laying up to the wide fairway right of the oak will be left with a short wedge shot into the green and need to take special consideration to stay below the slope line for their best chance of dropping the birdie putt. Bogey Beware: 16th Hole – 471 Yard Par 4 – Kinloch's most difficult hole is also one of its best and most memorable. This cape par four plays wraps uphill and to the left around the lake with a pair of inlets tightening up the fairway at different spots. 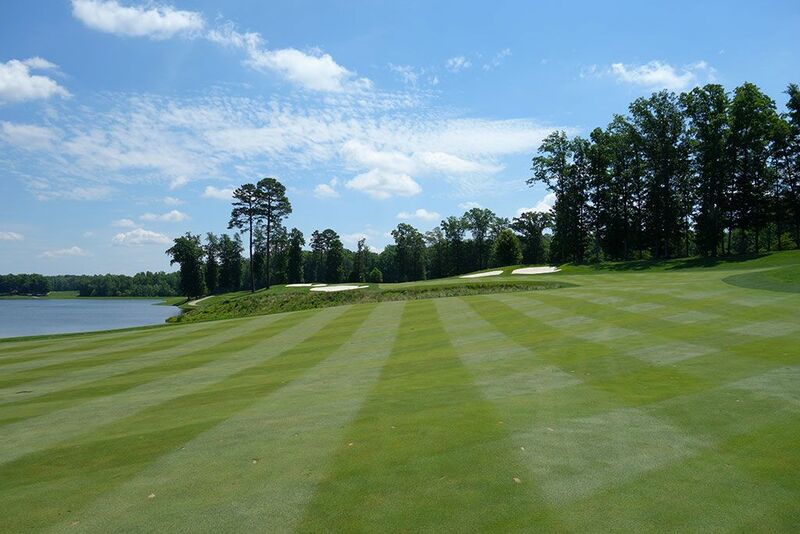 The green sits twenty feet above the lake and slopes towards the water thus making pin positions on the left side of the putting surface particularly difficult to attack, though the tier running through the green can help keep balls right. 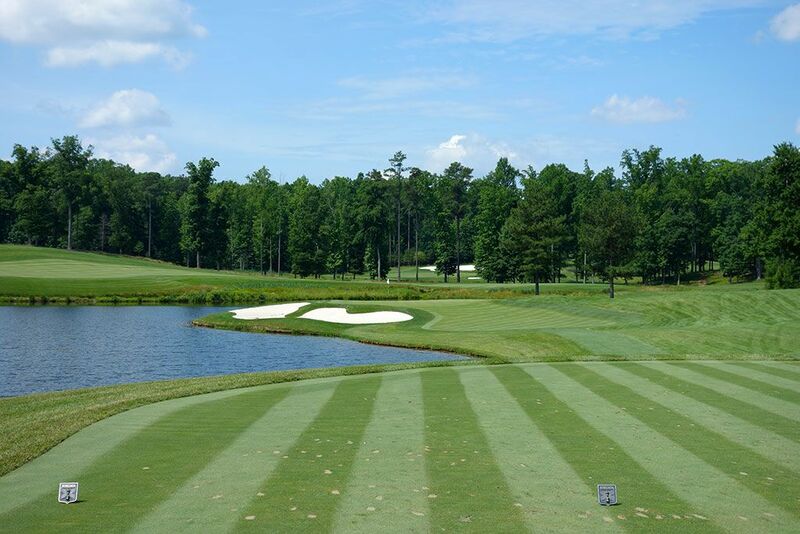 The slope on the fairway promotes hook shots towards the water which helps contribute to the intimidation factor of this hole ranking a solid 10.